Have you've ever wondered why some of your attachments download, others save, and yet others open in a new window? 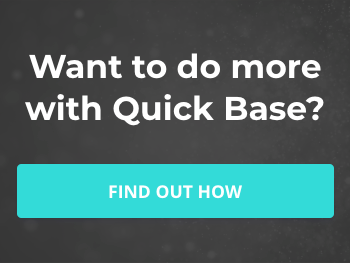 Or wondered why they seem to work fine for you, but not for some of your Quick Base users? If you have, you're in luck because I have answers and solutions! To get to the bottom of this quandary, I ran a series of experiments that revealed some interesting results. For all the experiments below I was using a Mac, your experience may differ depending on your computer, browser, and settings. You can see most, but not all, of the documents downloaded. For Chrome, they download to the bottom of the screen and are stored in my "Downloads" folder without the need for me to save anything. The exception is image (.jpg & .png) and PDF (.pdf) files. The images frustratingly open in a new browser tab. The PDF will download, yet when I open the download it opens in a new browser tab. There is a setting in Chrome to control the PDF behavior when opening it from your downloads (Settings > Advanced > Content Settings > PDF Documents). In this case, Safari only downloaded 3 of the 8 file types. Images still opened in the browser, and several files actually launched in their application. Safari may have additional settings that control how downloads work, however, because it is not my default browser I'm not familiar with them. Firefox was the most frustrating browser to work with (download wise). None of the files would directly download. The most common result was a pop-up box asking if I wanted to Open or Save the file. In the case of images, they again opened directly in the browser on another tab like the other browsers. Firefox may have additional settings that control how downloads work, however, because it is not my default browser I'm not familiar with them. The difference between Chrome, Safari, and Firefox may explain why some users get different results when it comes to clicking on File Attachment links. While these may not be the exact browsers your office is using, asking which browser they're using should be the first troubleshooting step. If you found this information useful be sure to subscribe to receive more tips like these! For my next set of experiments, I wanted to see what would happen if instead of using the default File Attachment link I used another field to 'force' a download. I did this by making a Formula - Rich Text field with the following formula which makes use of the "download" attribute of the anchor tag. In the first line above, the "8" is the field ID for my File Attachment field, yours will likely be different. The v0 at the end refers to the latest version of the file attachment. "Download File" can be replaced with any text you like. An alternative showing the file name as the link. Every file type downloaded as opposed to some (Images & PDF) opening in the browser. While this may work magically in Chome, I still wanted to see how it faired in the other browsers. Once again, a home run! Safari, like Chrome, had consistent results across the board, even for the images and PDFs. Again, Firefox disappoints. I actually think this was a slightly worse result because the images opened in the same window overwriting Quick Base in the browser. However, we did have two winners with Chrome & Safari! I think it's safe to say that the mystery of the file attachment opening vs downloading is solved! If you want consistency in how File Attachments are downloaded the best option is to add a Formula - Rich Text field. It also won't hurt to encourage users to use a browser that is more likely to result in the desired behavior. For me, this was clearly Chrome or Safari. If this is a big issue for you, I encourage you to run your own set of experiments. Use the browsers (types and versions) that are common in your office, as well as, the file types you use with Quick Base. Simply adding the Formula - Rich Text field to your forms won't entirely fix this problem. In fact, will cause some confusion on which link to click. 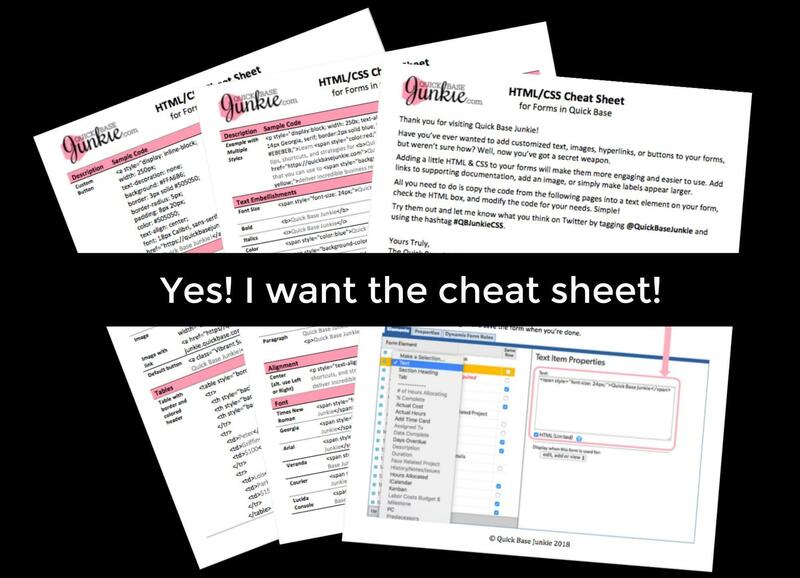 To avoid this confusion, I recommend including a checkbox and 2-3 form rules. The rules will allow users to upload files to the File Attachment field, but once uploaded only see the Download Link, unless they check the box to change the File Attachment. Below are the fields and rules needed to effectively utilize a 'download' link in place of the File Attachment link. For the Download Link formula, see images above Experiment #4. 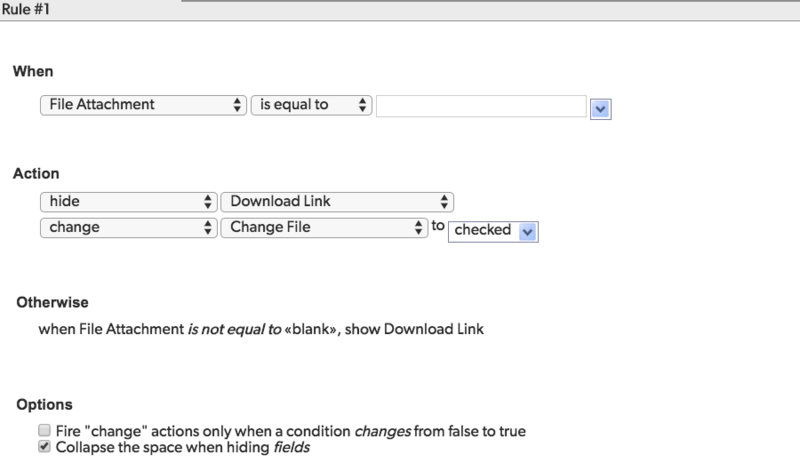 When the File Attachment field is <blank>, hide the Download Link and change the Change File checkbox to checked. This minimizes confusion when there is no attachment yet added. It also ensures that when a file has been attached that it is hidden and the Download Link is shown. 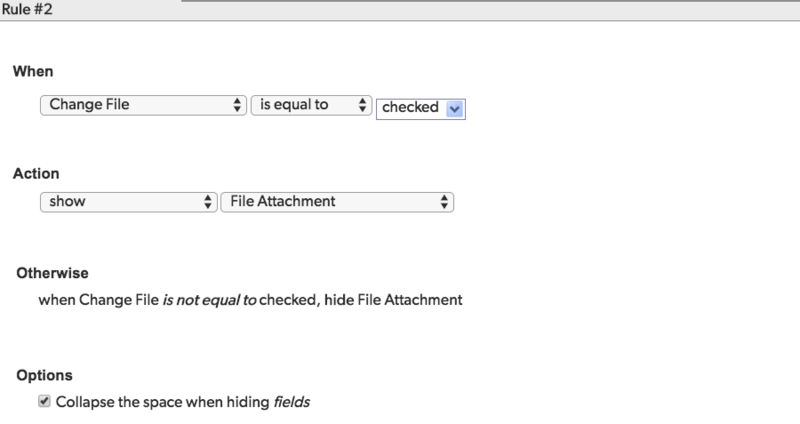 When the Change File checkbox is checked, show the File Attachment field. 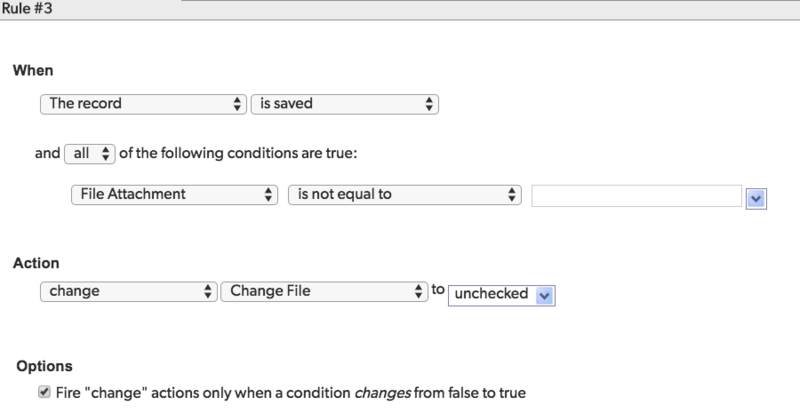 This allows users to make changes to the attachment if needed by checking the Change File checkbox to reveal the File Attachment field. When the record is saved and the File Attachment field is not <blank>, uncheck the Change File checkbox. This ensures that the next time the record is opened, only the Download Link is visible. I know I learned a lot going through these experiments. I didn't realize the extent that the browser affected the way a file downloaded from Quick Base. If you implement this solution, I would love to hear about it in the comments below. Or if you run some of your own experiments and would like to share with others, post them here too.